The Aegis Legend MOD from GeekVape comes with the brand new AS chipset with color display and multiple system protections, like waterproof, shockproof, and dustproof for safe using and long lifespan. 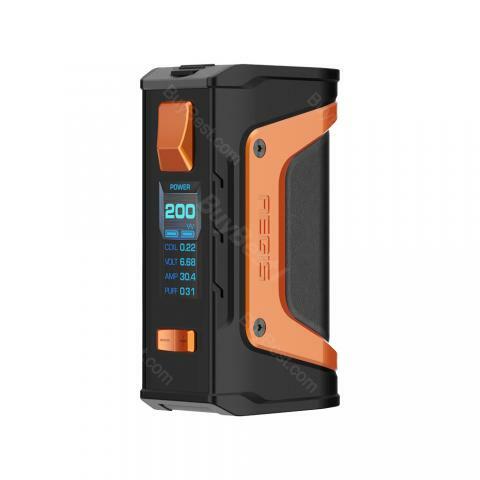 The Aegis Legend MOD from GeekVpe comes with the brand new AS chipset with color display and system protection, like waterproof, shockproof, and dustproof for safe using and long lifespan. What's more, it is firmware upgradable with a USB cable. 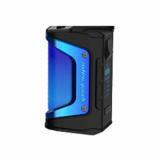 We recommend you to use this MOD with the Aero Mesh Version Tank. By the way, this mod doesn't come with 18650 battery and you need to buy separately. • Warning: Please DO NOT drop it above 1 meter when equipped with dual batteries, otherwise it may break the batteries inside or lose the waterproof feature. • It doesn't come with battery, which you need to buy separately. 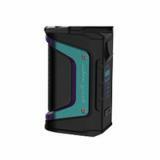 • 3 months warranty for the Aegis Legend MOD. I still think this is the best mod of 2018. It is very well made and can handle all tough conditions. Also the different modes are very easy to use and very good. I use both watts and temp (ss) , both are very easy to use and fire very quickly and the batteries last me all day, which is great. I have only drop it from less than 6ft and no drama's. I love this mod for the price and the look, also it is one tough mod. Thanks for the great deal BuyBest. I have had my vapor for about two weeks now got the unicorn color and I have to say I absolutely love it. This is not my first Vape actually I’m going to number five because I keep When you try new ones out, my previous one was a smoke do a battery touch screen, and so far this one is my favorite. I love the way it feels, the durability of it, and unlike my previous smoke one the screen is much more simple ( Obviously because it’s not touchscreen) and even though I love my technology I have to say the simpleness of this one I do enjoy more. Top Goods and shipped very quickly and good Packaging. Original product. Highly recommended. It was a very good deal. Shipping was also pretty quick. Thank you for selling me a good product at a cheap price. I clicked "received" accidently , Package has not arrived yet. Great looking mod, excellent seller, best price. I am very satisfied. Excellent device. Exactly the same as described on online store. Water-proof, shock-proof and dust-proof. Thanks Buybest! I have been through many higher end mods and this blows everything away. The aesthetic and build quality has me just staring at it in awe. I cannot conceive of a better battery box than this one. Hello, First i‘d like to say thank you to GearBest, very fast delivery and Perfect Support!This is a buy best Legend 200W which i got.It is a very rough and very well build Vape Device, which i use in my Yakuuzi. It fires very fast and is powered by 2 18650 Batteries.Awesome all-day Driver, which i recommend!